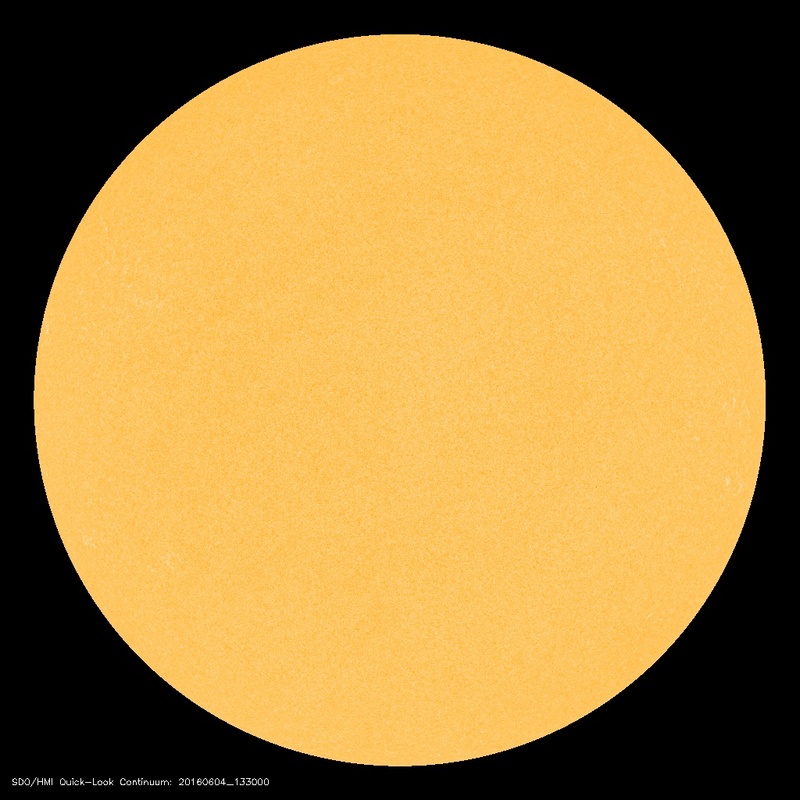 Forecasters expect the next Solar Minimum to arrive in 2019-2020. Between now and then, there will be lots of spotless suns. At first, the blank stretches will be measured in days; later in weeks and months. Don’t expect space weather to grow quiet, however. Solar Minimum brings many interesting changes. For instance, as the extreme ultraviolet output of the sun decreases, the upper atmosphere of Earth cools and collapses. This allows space junk to accumulate around our planet. Also, the heliosphere shrinks, bringing interstellar space closer to Earth. Galactic cosmic rays penetrate the inner solar system with relative ease. Indeed, a cosmic ray surge is already underway. Goodbye sunspots, hello deep-space radiation! Watch the changing Sun on the HobbySpace Sun & Space Weather page.